I'd like to keep VOD content in cache for 3 weeks (provided there's sufficient space) but also for a minimum of 12 hours. So I would configure as follows. Question 1: if disk cache is full will it discard the Least Recently Used file or chunk older than 12 hours? 1. 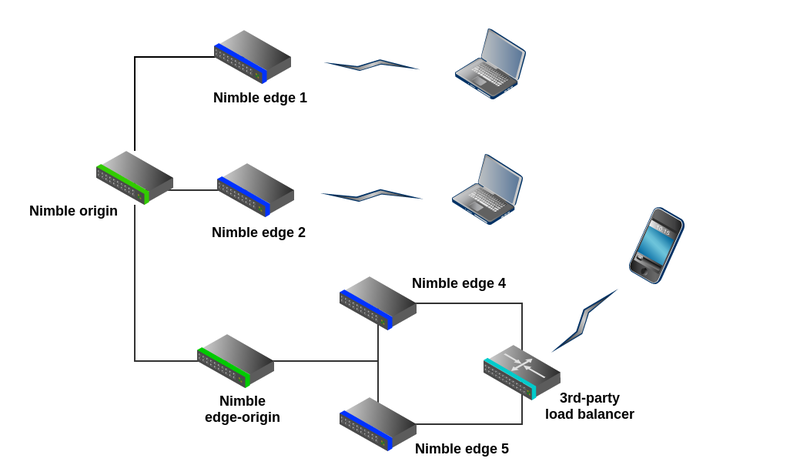 Nimble will try to discard items from LRU list, which should remove oldest unused chunks in cache that are already stored vod_cache_min_storage_time (12 hours in your case). 2. Yes, if there is no items to discard Nimble will use RAM cache. Is the LRU caching mechanism invoked by setting the optional vod_cache_min_storage_time parameter? I'm from Brazil and would help to set the Nimble Streaming only to MPEG-TS to MPEG DASH Transmuxing ABR. There are two parameters vod_cache_timeout and vod_cache_min_storage_time. vod_cache_timeout is 86400 seconds (i.e 3600*24, 1 day) by default. vod_cache_min_storage_time is 3600 seconds i.e 1 hour. All chanks will be removed from cache after vod_cache_timeout. Chunk may be removed from cache only if vod_cache_min_storage_time exeeded. vod_cache_min_storage_time exeeded but still cannot put new chunk to ROM we use RAM then. You can force to use RAM first if you set vod_to_ram_cache_first = true. this way Nimble will try to allocate item in RAM by default. All rules above work even in this case. LRU works always as both values have default values. so at the end of the day what is default units for vod_cache_timeout and vod_cache_min_storage_time? Is that seconds or hours??? For both parameters it's 1 hour.